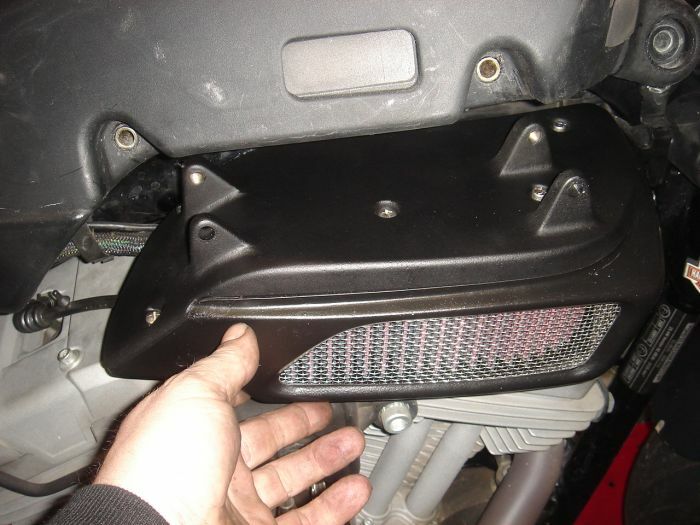 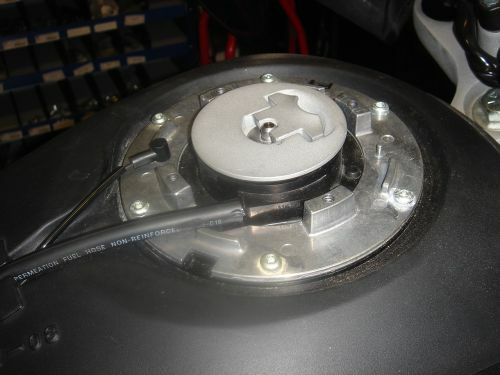 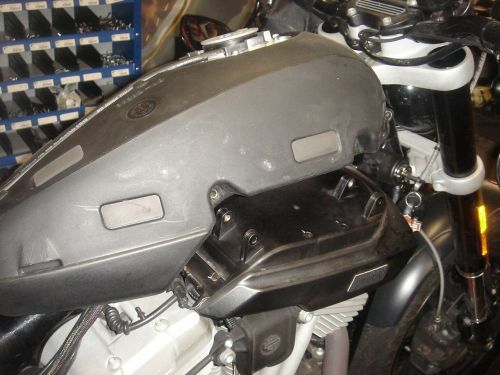 28-4-2012 - Mounting instuctions for the Twin Motorcycles XR1200 and XR1200X High Performance Airbox (HPA). 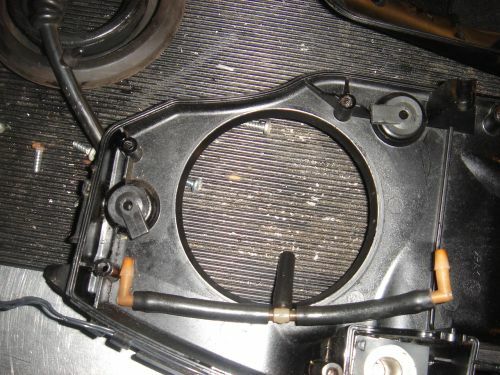 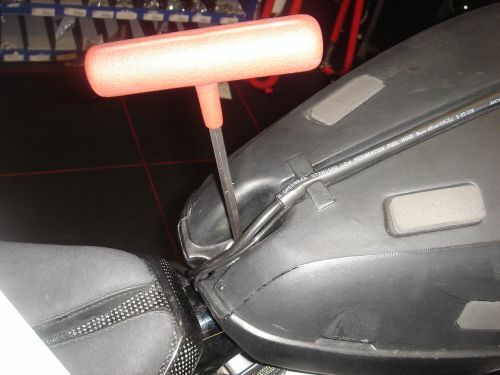 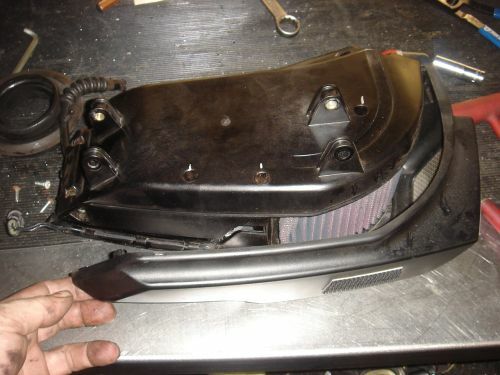 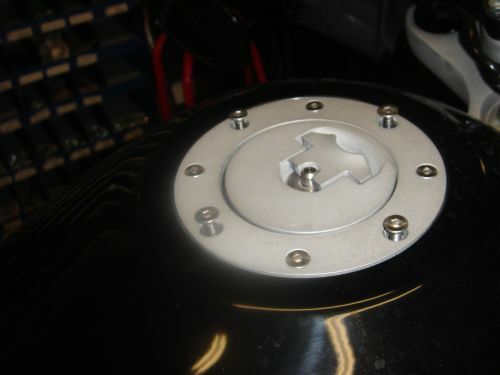 Remove the fuel tank cover by removing the the 4 screws ( 1/8 hex ) as in the picture below. 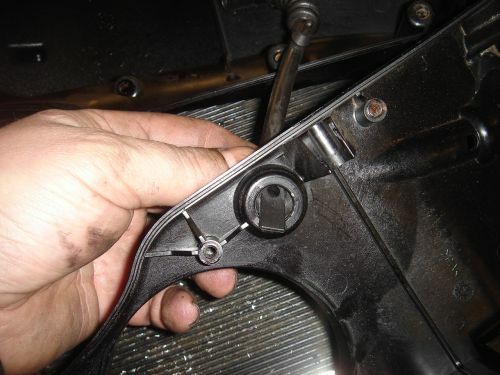 It is NOT nescecarry to remove the other 4 screws. 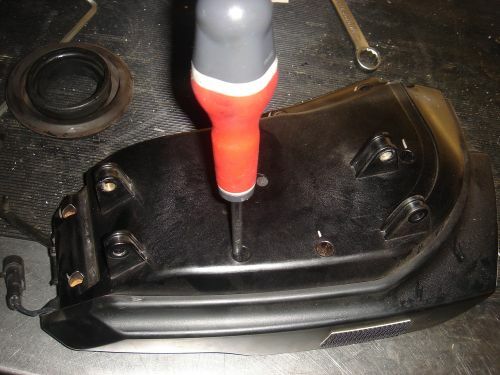 When the screws are removed, remove the fuel cap , and pull off the fuel tank cover starting at the front. 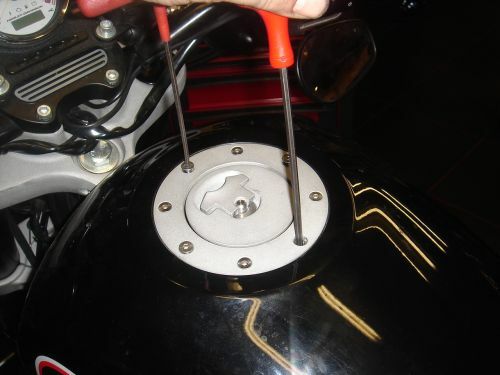 Put the fuel cap back on to prevent dropping something in and for safety as soon as possible !! 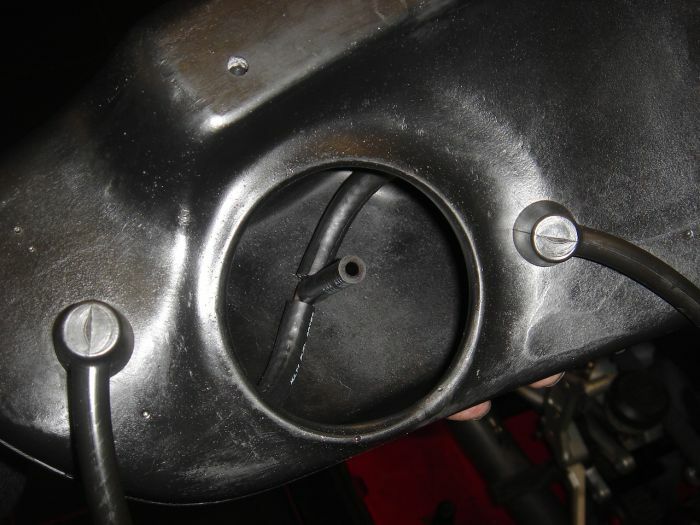 Unscrew the T27 screws out the airbox. 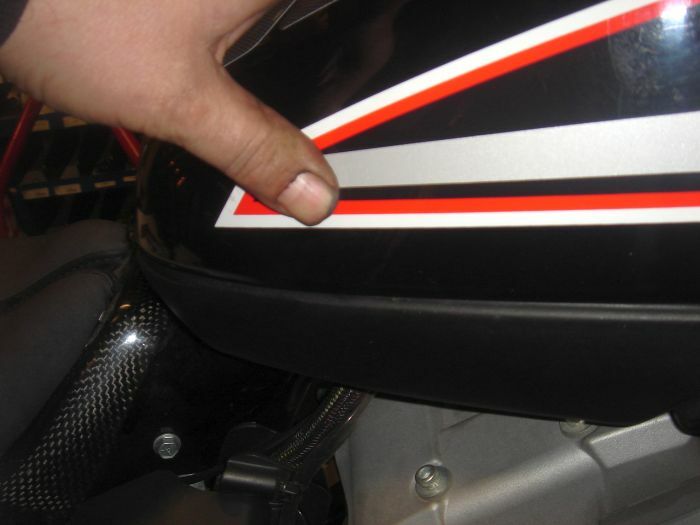 Pull the fuel tank up in the front and move it to the left, to get more clearance for the airbox to take out. 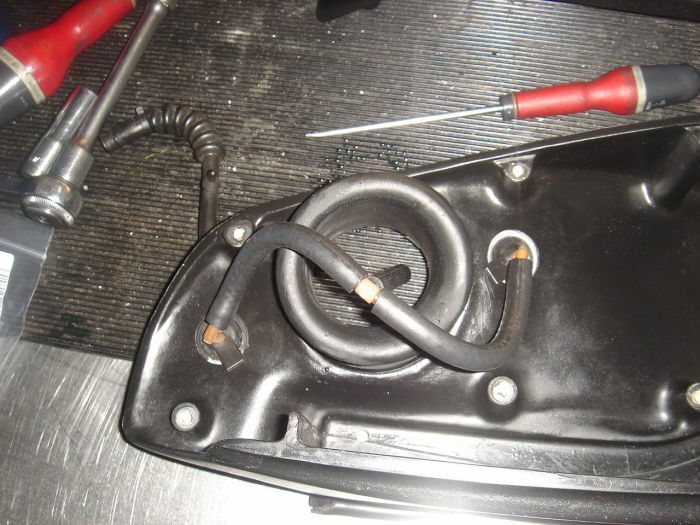 ATTENTION: Pull slightly off the original airbox, and loose the electrical connector ( EURO versions with flapper valve ) first. 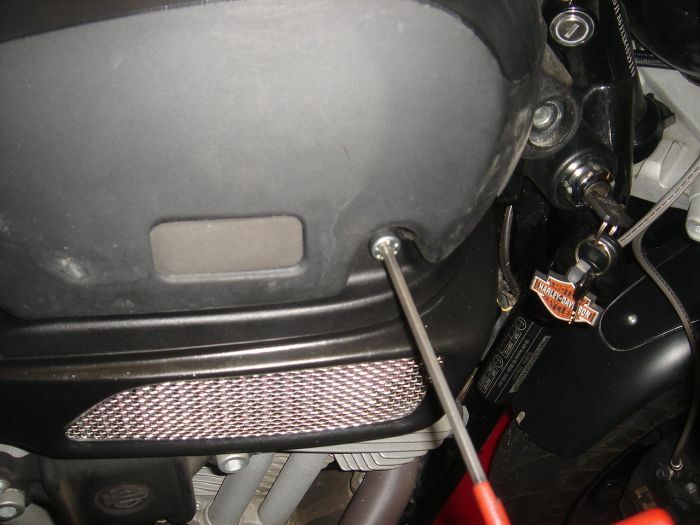 Or use a separate system to catch the oil and moister in. 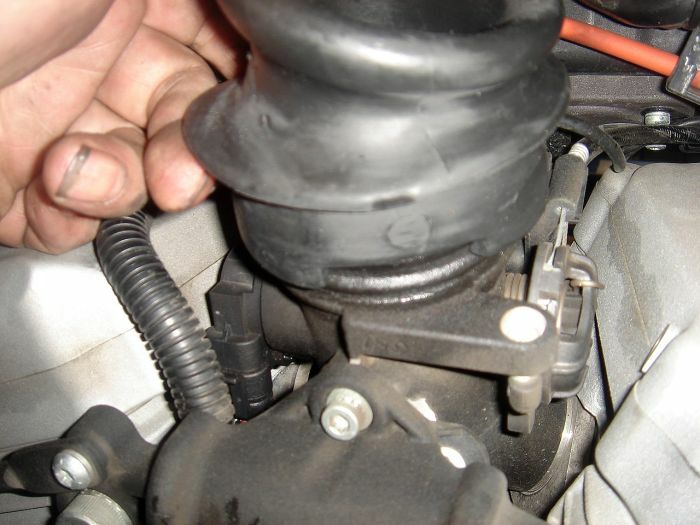 You don’t want to get oil and moister in that throttle body. 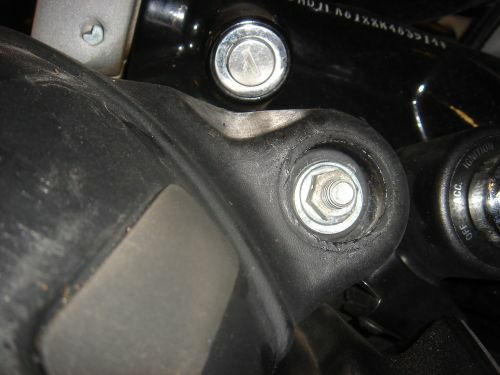 It can cause a bad running bike and detonation. 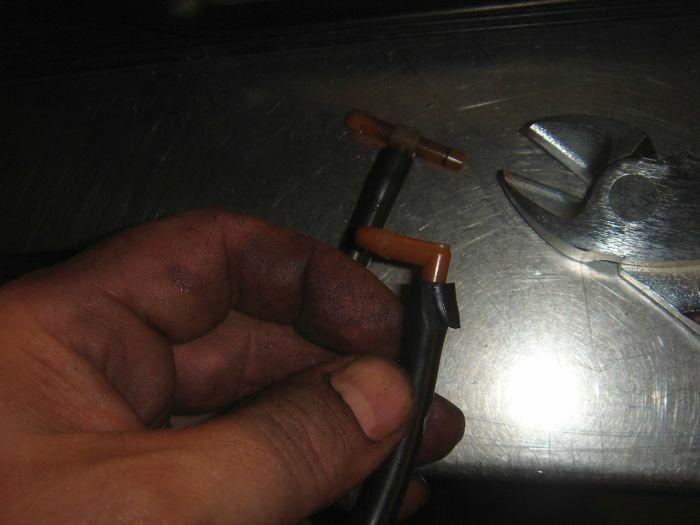 When you don’t like to use a external catch can system, use the extra connectors we supplied. 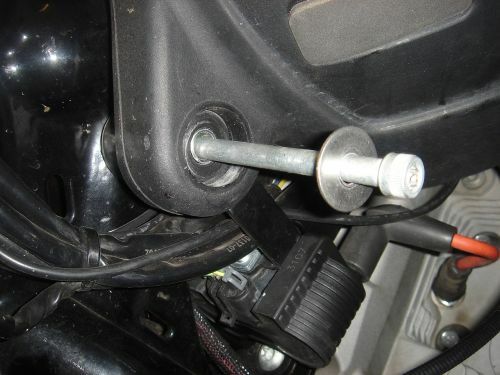 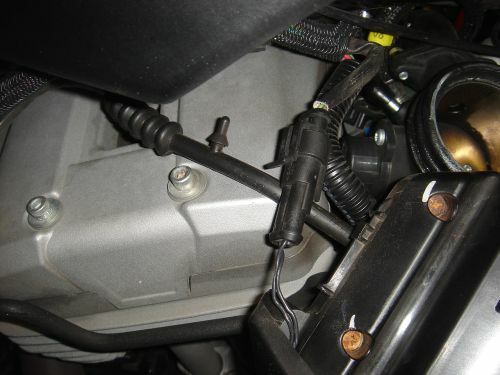 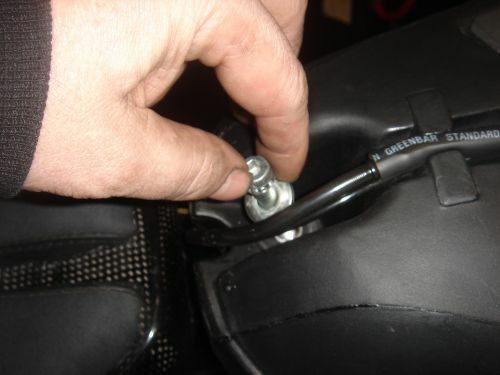 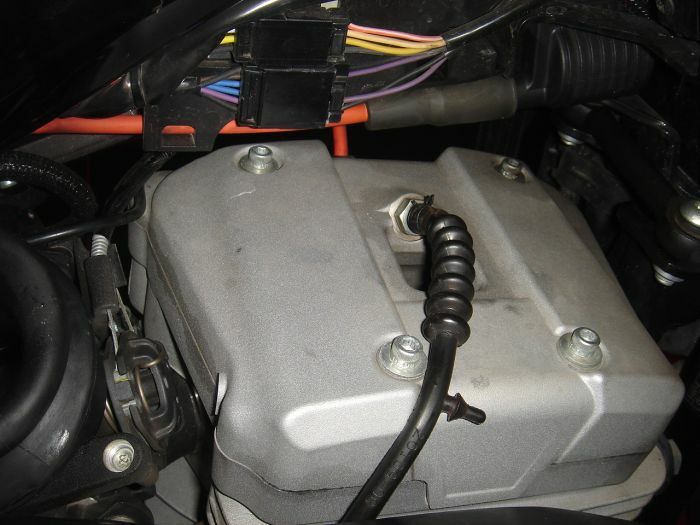 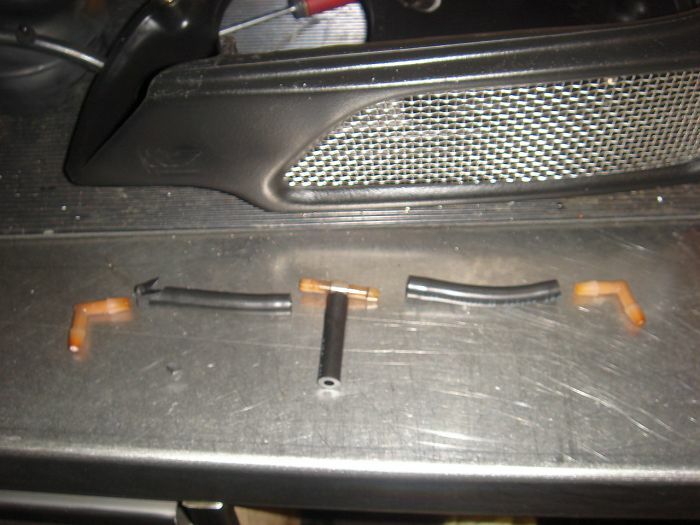 Pull off the 2 breather angle connectors , and replace these for the longer pieces off hose delivered with the airbox. 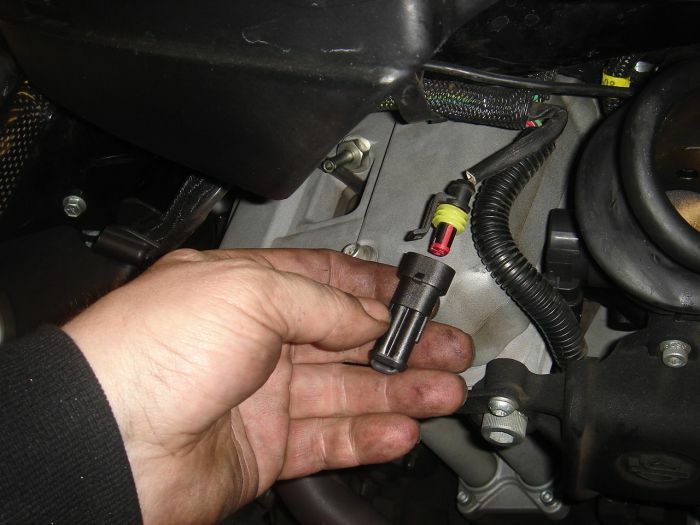 Replace the original connector’s these for the longer pieces off hose delivered with the airbox. 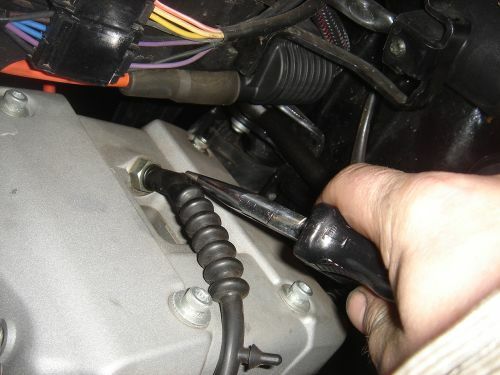 Be careful not to damage the connectors, cutting in the old hoses will help to remove theme. 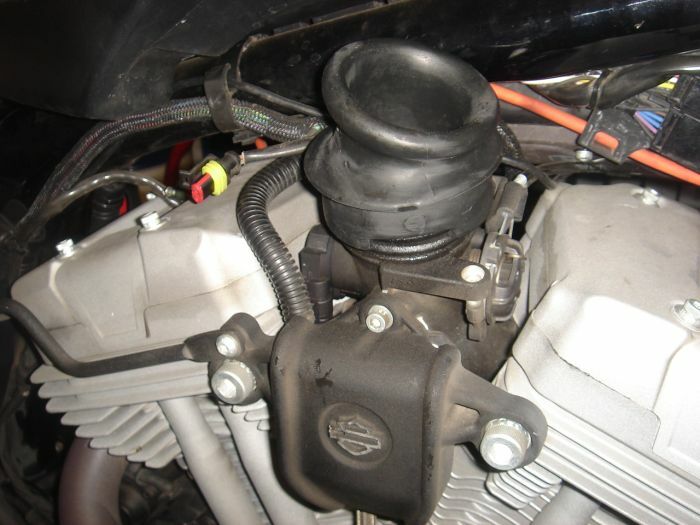 Mount the breather hose assembly in the HPA airbox and test fit the velocity stack so the breather hoses are orientated in the correct position, and there is the least restriction of free flowing air to get in. 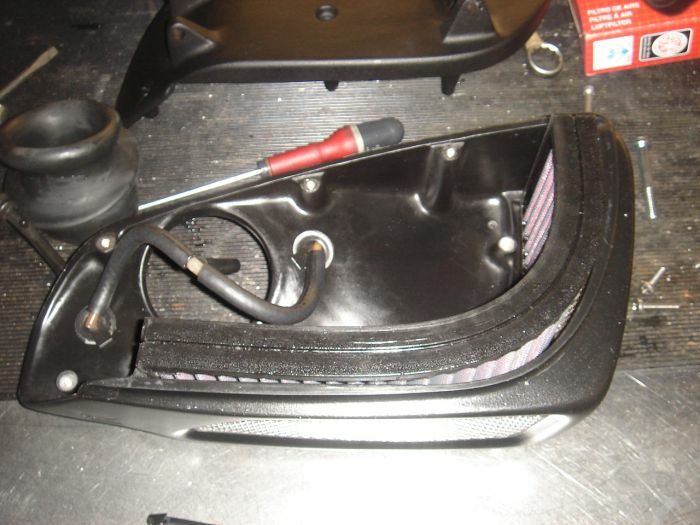 Mount the HPA K&N airfilter in the HPA Airbox. 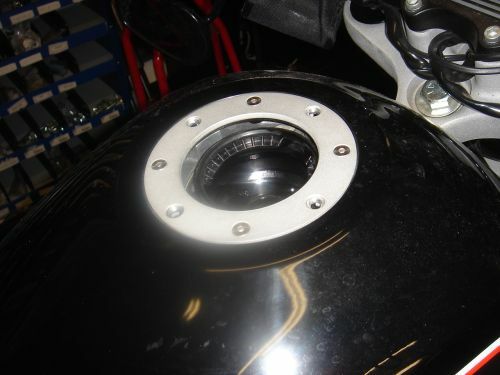 Take the 2 M8x60 delivered in the kit and screw the HPA airbox to the fuel tank. 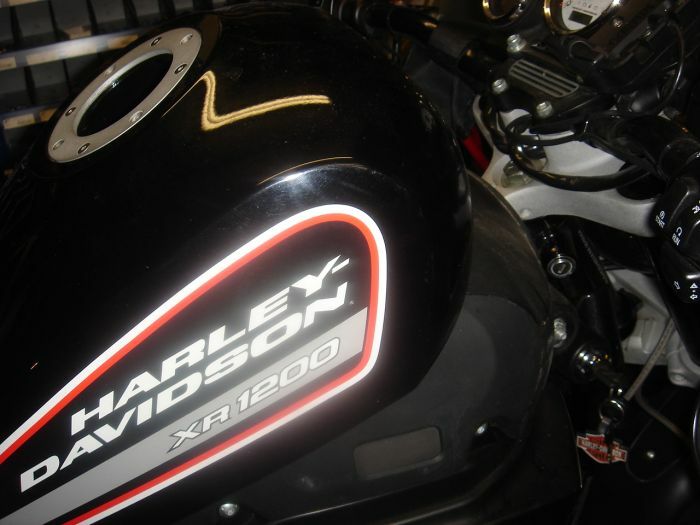 10Nm max. 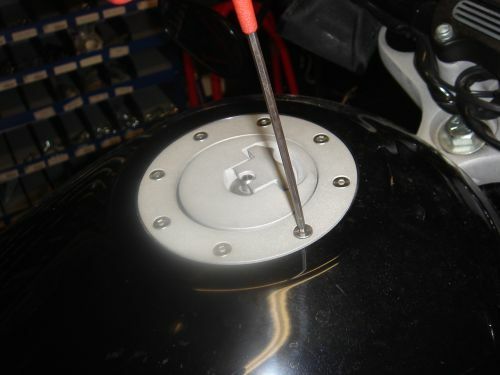 And tighten the screws. 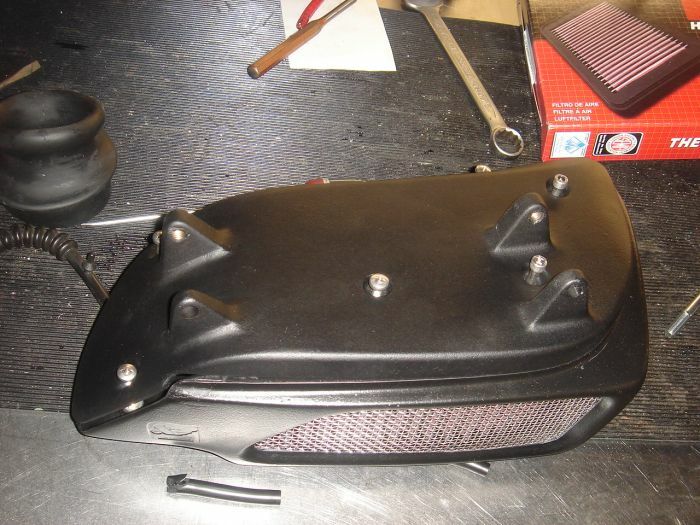 Update your Computer when using this HPA air box, with our Free TTS Mastertune update files (you can get these files sending a e-mail to dris@twinmotorcycles.nl) we made for this air box and Torque Hammer exhaust or go to a dyno tuner and let them take care of this. 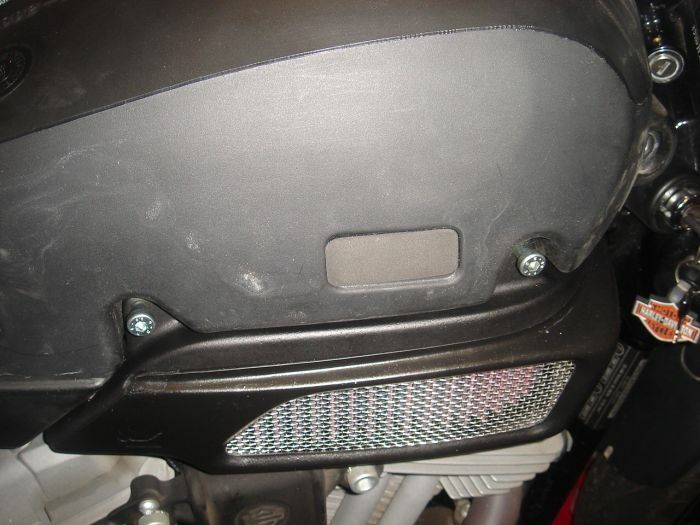 This airbox cannot be mounted without a proper tune of the bike. 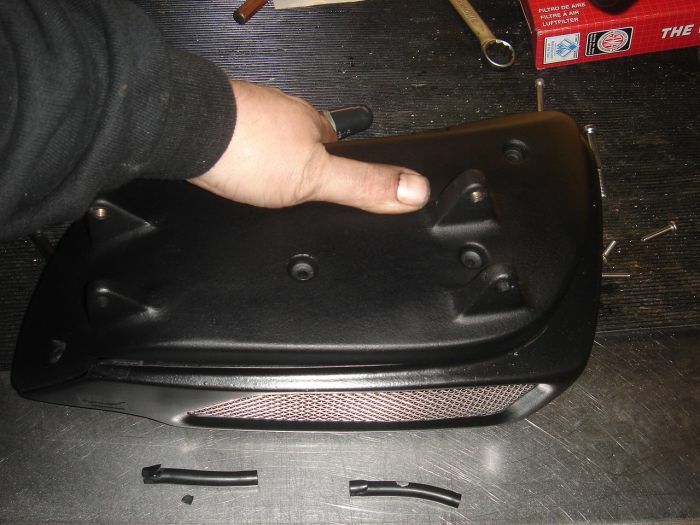 It will run very lean compared to the stock airbox. 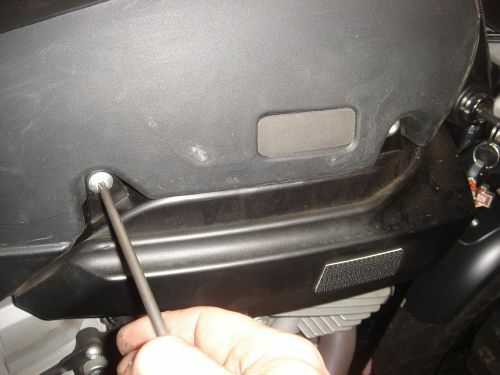 If you have any questions about the right way to mount the HPA Airbox, Please don’t hesitate to call 0031 30 6878214 or email info@twinmotorcycles.nl us.